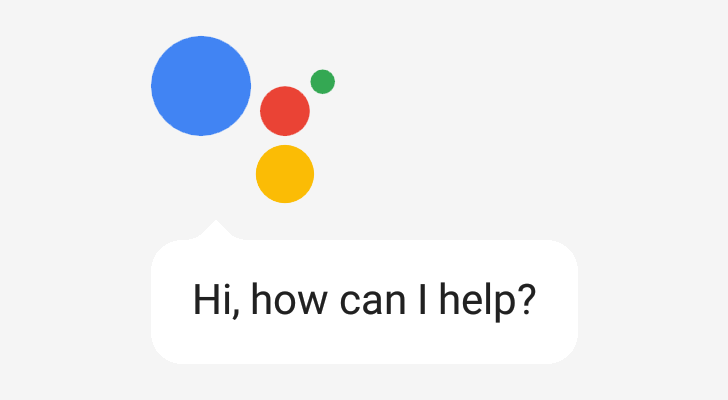 Google added multilingual support to Google Assistant last year; you could start a timer in English, while someone else (on the same device) could ask for the weather in Spanish. This was initially limited to just six languages, but Google is now adding more to the mix. In addition to the existing support for English, German, French, Spanish, Italian, and Japanese, six more are available — Korean, Hindi, Swedish, Norwegian, Danish and Dutch. Other Assistant features are also expanding to new languages. Multiple actions are now available in French and German, Assistant in Maps is coming to all languages, 'transactional experiences' (actions involving purchases) are now offered in 22 markets. Finally, action templates are available in English (US and UK), French, German, Italian, Japanese, Korean, Portuguese, Spanish, Hindi and Indonesian. You may recall that Google improved Assistant's voice in 2017, when the company started using the 'WaveNet' neural network that it acquired in 2014. Google is now introducing new WaveNet voices for actions in English (en-US, en-GB and en-AU), Dutch, French (fr-FR and fr-CA), German, Italian, Russian, Portuguese (Brazilian), Japanese, Korean, Polish, Danish and Swedish. Samples of the new voices can be found here. Finally, users in India are now able to talk to Assistant in seven new languages — Bengali, Tamil, Telugu, Gujarati, Kannada, Malayalam, and Urdu. Google previously added support for Hindi and Marathi last year. According to an update made to the Language and Locale Support section of the Actions on Google documentation site, these new higher-quality WaveNet voices will start to roll out on March 4th. The new voices provide users of the Actions on Google platform with voices that meet or exceed a 3.6 mean opinion score (i.e., which provide better perceived quality than the previous TTS voices used). New samples of the WaveNet-enhanced TTS voices for US, UK, and Australian English (plus many non-English locales including French, Dutch, German, Italian, Japanese, Korean, Polish, Portuguese, Russian, and Swedish) are available on the same page, marked by the text "NEW!" beneath the voice name. Projects using supported voices in the Actions on Google platform will be switched over to the new voices automatically, though developers will need to make sure their Actions are using one of the voices which is being updated to ensure their users get it. Some languages will only see a few of the available numbered voices updated.